Green River, Utah -- We once did what most travelers wouldn't do when spring arrives in canyon country: spend a week based at this forlorn hamlet, which barely clings to life in the shadow of Moab, the outdoor-recreation mecca just 50 miles away. 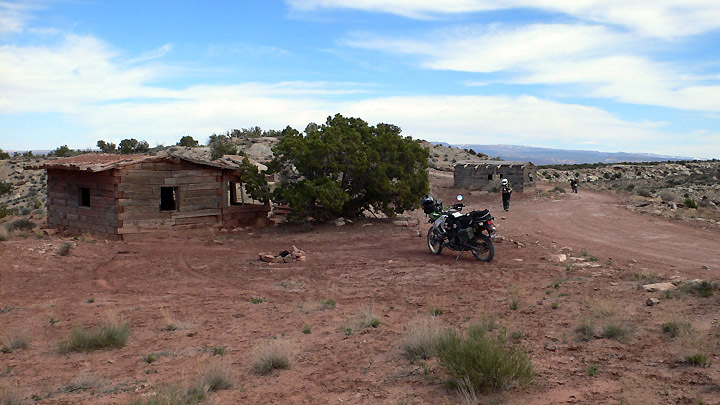 There are reasons to bypass this quasi-ghost town. 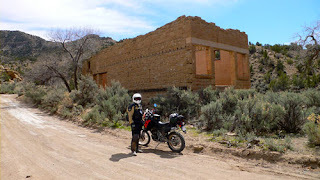 Although there are some remodeled and contemporary lodgings, Main Street is lined with the dilapidated hulks of abandoned motels, vacant lots and derelict gas stations. Instead of Moab's brew pubs, mountain-bike shops and espresso bars, there are boarded-up bars and bygone cafes. 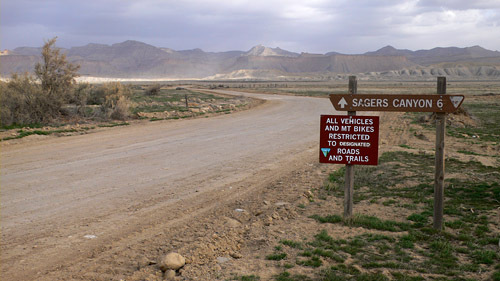 These are ghosts of the era when old U.S. 50 -- not nearby Interstate 70 -- was a major cross-country route, and the Cold War search for uranium brought a level of prosperity but left the region pocked with abandoned mines that still pose hazards today. 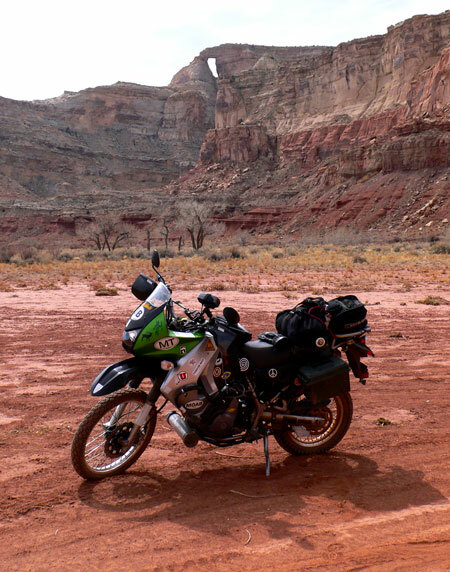 With all of its warts and woes, Green River appeals to me. 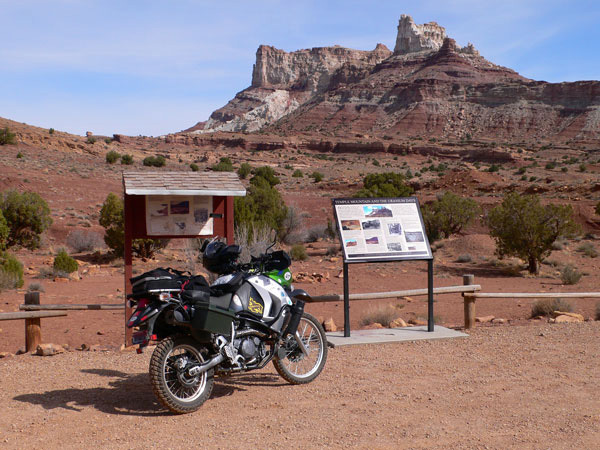 It is authentic Utah, and there are reasons -- access to gorgeous backcountry roads, spectacular sandstone canyons and ancient rock art -- to make Green River a destination, and to stay for a while. 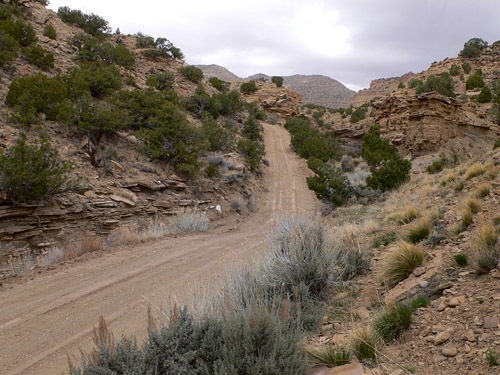 Ranching and the search for yellowcake left the dramatic geologic uplift called the San Rafael Swell, west of Green River, scarred with a network of alluring dirt roads. 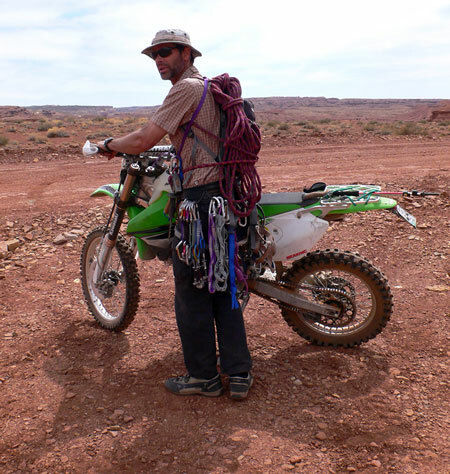 Some, like the track up Black Dragon Wash, are boulder-strewn 4x4 and mountain-bike trails. Others, like that through Reds Canyon and Buckhorn Wash, provide opportunities to explore parts of Utah that many travelers miss. Like hordes of adventure motorists, I've traveled the beautiful backroads of greater Moab that stretch from the LaSal Mountains to the Abajos, from White Rim Road deep into the remote Maze District. But over the years I've come to appreciate more the less-visited corners of canyon country, such as the San Rafael Swell and the Book Cliffs. 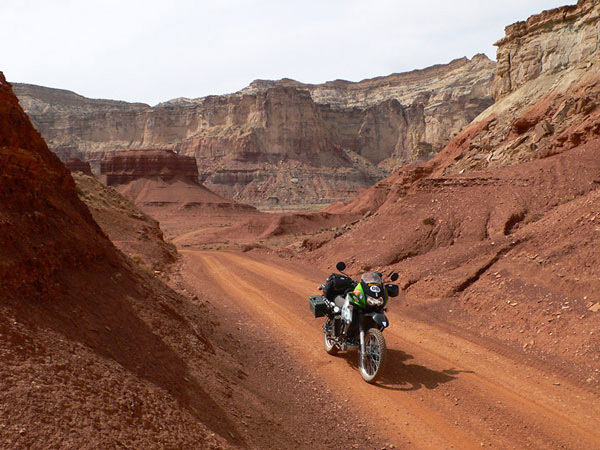 While the secret of the San Rafael's uplifted and incised beauty is out, and more and more motorized travelers are exploring its network of dirt roads, visitation is a fraction of what it is around Moab. And the dusty Old West town of Green River is barely hanging on, despite the fact that it is authentic Utah, and a great basecamp for exploring the lesser-known wonders that lie just outside of town. 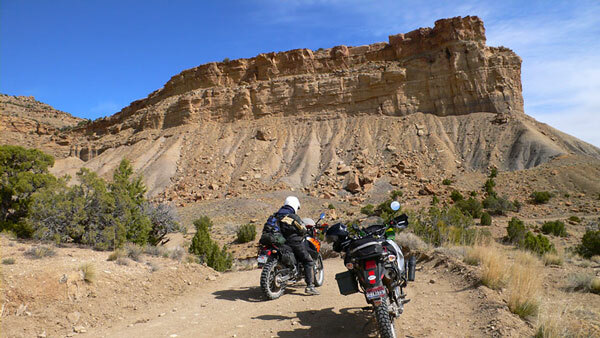 In a week camped at Green River State Park, a wooded oasis located in town, I first drove my Toyota 4Runner along a segment of the Utah Backcountry Discovery Route, a north-south, Arizona-to-Idaho route developed by adventure-motorcycling gear retailer Touratech USA, of Seattle, Wash. Then I rode the route with a fellow ADV rider from California, a retired firefighter from California who drove all the way out to hook up with me for a few days of superlative riding. Together, we also road into the San Rafael Swell (the Reds Canyon Loop), returned to the UTBDR, and added a segment of the famed Kokopelli's Trail. On the UTBDR, we encountered stretches of soft sand, which I always find unnerving and difficult. 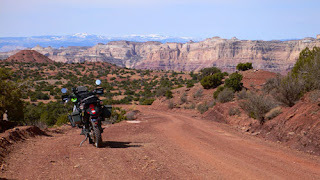 But in the Book Cliffs, where the UTBDR edges along the brink of a high plateau with expansive vistas across canyon country, the native-surface roads were ideal. 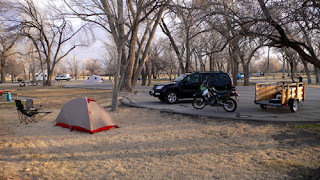 When each day was done, we both spiked our cholesterol levels with burgers at that Green River mainstay, Ray's Tavern, then retired to our tents at the state park. Best of all, when we rode the loop through Reds Canyon in the Swell, we had chance encounters with other adventurous riders. One, Cameron, was a solo rock climber from Colorado who specializes in first ascents of the Swell's sandstone cliffs, spires and cracks. The others were a soon-to-retire soldier, Eli, and his wife, Tonia. She, also a soldier, was about to leave for her second tour in Afghanistan. 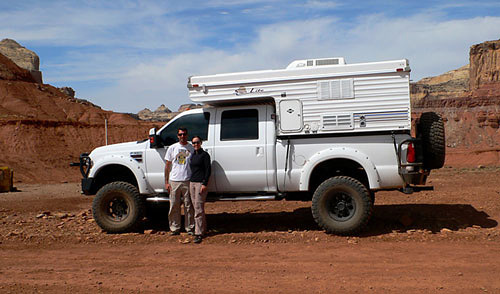 The couple was traveling the backcountry in an impressive 4x4 pickup-camper combo. 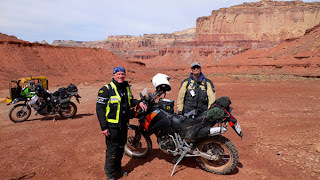 The fact that we were all members of ADVrider.com, and thereby shared an uncommon yearning for backroad adventure, provided an instant bond among us. Sign explains mining in the San Rafael Swell. Couldn't agree more. Green River is spectacular. 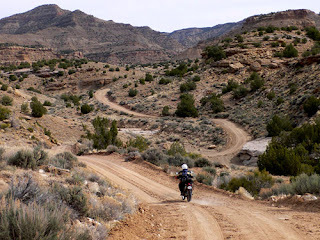 Plus there are hundreds and hundreds of miles of off-map single track and double track, making it argueably the undiscovered KTM 450-530 capital of Utah while so few people know about it - at the south end of the swell, east of Chimney Rock, north of Green River trails, and north east of Dubinky Wells epic trail-riding. Plus there are hipsters too! Maybe I'm crazy, Andre, but lately I've been drawn to Kemmerer, Wyo., too. Something appeals to me about these authentic, hard-working non-tourist locales in the midst of awesome ADV travel opportunities.